Nine months ago, I was at the airport waiting for my flight to Newark, New Jersey. Seated next to me was a couple who were going to London. They were very upset because their flight had a long delay which meant that they would miss a show for which they had tickets on the day they would have arrived. encouraged them to focus on the things that were right rather than what wasn’t. After all this was a trip they were looking forward to for a long time. Fast forward to last night during intermission at the theater. A man come over to me and asked if I was Allen Klein. He looked a little familiar but I could not remember where we might have met. Then he told me that we met when his flight to London was delayed. He wanted to thank me for the advice I gave him. He said that my “you-can’t-ruin-my-day’ philosophy helped make him and his wife’s trip remarkable. Moreover, because their flight was delayed so long, the airlines put them on an earlier flight that got them to London in time to see their show. I call incidents like this a mini-miracle. I mean what were the chances this man and I would be seeing the same show on the same night and that he would see me among hundreds of people in the audience? I also find it a miracle of how each of us influence other people in both positive and negative ways that we’ll never know. And that is why we need to be kind, gentle, and caring with others even in the briefest of encounters. I thought "Hidden Figures" was going to be a movie about finding Waldo. Boy was I wrong. Q. Two flies are on a porch. Which one is an actor? A. The one on the screen. -Saundra MaiseyQ. Who was the greatest comedian in the Bible? I have a good friend who always tells me that she eats "clean" and how good she feels as a result. So I decided to try it. I vacuumed my lunch the other day and felt so much better. Created by “Mr. 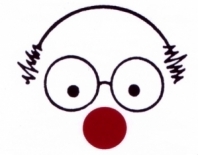 Jollytologist”, Allen Klein, to help people turn their Maalox Moments into more mirthful ones. 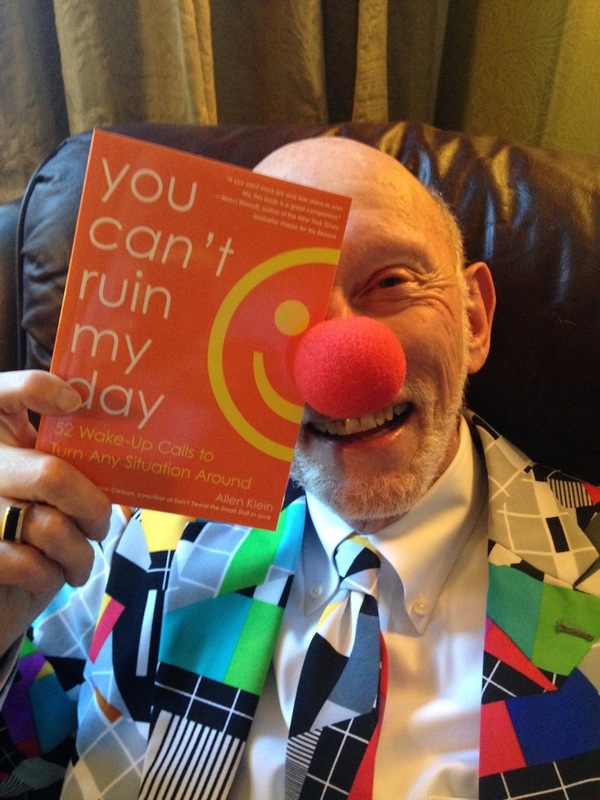 Klein is an award-winning professional speaker and best-selling author (The Healing Power of Humor). He shows audiences worldwide how to deal with not-so-funny stuff. 22 ways of going after laughter. an emailed amusing tidbit to brighten middle of the month monotony. The Healing Power of Humor. Tarcher/Putnam, 1989. ParentLaughs. Gramacy/Random House Value Publishing, 2006. TeacherLaughs. Gramacy/Random House Value Publishing, 2006. WorkLaughs. Gramacy/Random House Value Publishing, 2006.